As complex as it may appear at times, the main consistency of US foreign policy is that it covers its pursuit of geopolitical self-interest with humanitarian and democratic rhetoric. There’s always an ulterior motive behind the US lecturing countries about ‘human rights’ and ‘democracy’, and those two key words should raise immediate red flags to any concerned decision makers in the targeted state that the US is addressing. Being the expert image manipulator that it is, the US never shies away from exploiting human tragedy for its own strategic ends, a lesson that everyone would do well remembering when considering the Rohingya issue in Myanmar. While there certainly are some legitimate grievances that the Rohingya are leveling against the authorities, it’s evident that the US is already exploiting them for its own geopolitical ends. Washington wants to establish a military presence in the Bay of Bengal in order to control China’s pipelines through Myanmar (both of which go through Rohingya-inhabited Rakhine State), but in order to get to that point, it first needs for the Rohingya to have their own autonomous or independent government there. The first part begins by unravelling the layers of complex context related to the issue, before going into the specifics of the current migrant crisis. Part II then explains how the US aims to create an autonomous or independent Rohingyaland by capitalizing off of this tragedy, and concludes with an examination of the multifaceted benefits it would receive through the creation of the South Asian “Kosovo”. The plight of the Rohingyas and their place in the bigger picture of American geostrategy against China can appear to be an overwhelmingly complex topic, but it can be subdivided into three simpler categories of general understanding; American grand strategy; Myanmar’s domestic affairs; and the Rihingyas’ situation. By breaking down the bigger, thematic picture into smaller, finer details, one should be able to acquire a more solid understanding of how the US is relentlessly pursuing its own self-interest at the Rohingyas’ expense. The US’ post-Cold War foreign policy has hinged on adhering to Brzezinski’s ‘Eurasian Balkans’ concept, which essentially stipulates that the US could manipulate preexisting ethnic, religious, and territorial issues in Eurasia in order to prolong its control of the supercontinent. This can be done in two ways: the method of indirect disorder has the US utilizing proxy actors to stir endless chaos, much as it’s currently doing with ISIL in the Mideast; while direct control involves the US conventionally asserting its on-the-ground dominance, just like it did by building Camp Bondsteel (one of its largest European bases) in occupied Kosovo after the 1999 War on Yugoslavia. Indirect disorder can be used as a modus operandi for establishing direct control, and this is precisely the game that’s at play with Rohingyaland along the Bay of Bengal. No place in South or Southeast Asia is more susceptible to the Eurasian Balkans concept of American-directed strategic state fragmentation than Myanmar, which has been fighting the world’s longest-running civil war since 1948. To unduly simplify the conflict, it involves the majority Burmese ethnic group in the central part of the country fighting against the myriad minority groups along its periphery, with the rebels seeking a federation but the government fighting for the status quo unitary nature of the state. While the war has been at a stalemate for quite some time, the opening of a new rebel front in the Rohingya’s Rakhine State could be the strategic shift that’s needed to turn the tide against the government, as none of the other rebelling regions or ethnicities is located along the coast. This factor is exceptionally important since it could enable a slew of foreign patrons to ship massive amounts of material support to the rebels, perhaps even using plausibly deniable methods such as flying other nations’ flags above their arms-running vessels. The inland rebels have no such tactical advantage in this regard, which may be part of the reason why they have yet to be successful in their half-century-long campaign. The addition of a pro-federation rebel movement capable of receiving such supplies could make the decisive difference in finally tipping the balance of power against the government’s forces. The demographic subject of the present article is at odds with the Myanmar government over its identity. The 800,000–1-million-plus Rohingyas claim that they constitute a unique ethnic group, but Naypyidaw sees them as nothing more than the descendants of illegal Bengali migrants, some of whom even fought against the state on several occasions. As such, the government refuses to confer them with citizenship, thus leaving them stateless and unwittingly complicating the present migrant predicament (to be described in the next section). Worse still, because they’re not considered to be citizens, the state is reluctant to actively protect them from the sectarian purges carried out by the ‘Buddhist Bin Laden’ and his pro-Western hyper-nationalist thugs. Instead, it’s settled on a policy of segregation, preferring to force them into separate communities ostensibly out of concern for their own safety. Many Rohingya protest these living conditions that some claim are contrary to their human rights, hence why so many of them have decided to flee the country. Sensing a convenient opportunity for geopolitical benefit, the US has taken up the torch of Rohingya guardianship, advocating loudly in their favor and becoming their de-facto international patron. The Rohingya had already been on the Western media radar since their 2012 persecution, but it’s the current migrant boat crisis that’s made their cause seemingly more urgent. While there are no clear-cut numbers available, the UN estimates that around 100,000 of them have fled by sea in the past three years, which would represent between 10-12% of their total population in Myanmar. These discomfiting numbers clearly indicate that there are some serious domestic issues in Myanmar motivating their exodus, but in and of themselves they’re not cause for direct humanitarian concern. The problem arose when it was reported in early May that around 6000 Rohingya were thought to be lost in the Andaman Sea after having been abandoned by their human traffickers, and genuine horror was experienced when 139 graves were later unearthed in Malaysia, believed to be of dead Rohingyas who perished before reaching their ultimate destination. The squalid camps alongside the Thai-Malaysian border that the illegal Rohingya migrants are regularly kept in have led many to believe that they’re either being abused or held captive by their traffickers. All of these dangers have combined to generate what the UN referred to early last month as a “looming humanitarian crisis”, and the deluge of fake images and internet memes related to the issue have contributed to a feeling of global urgency in addressing it. The destination states of Thailand, Malaysia, and Indonesia don’t want to accept any more migrants, having already absorbed tens of thousands of them in the past couple of years, and previously refused to let the stranded boats land on their territory. According to officials, Malaysia already has received 120,000 Rohingyas, while Thailand claims to be housing 100,000 as it is. Nonetheless, because of the exorbitant international pressure directed against them, all three states countries have agreed to temporarily house the at-sea migrants until they can be sent back home or to a third country, thereby abandoning their earlier policy of turning back the boats. While this may temporarily de-escalate the crisis and give the floating migrants a safe reprieve from the dangerous high seas, it doesn’t address the root cause of why the Rohingya are risking their lives to leave Myanmar in the first place, which is something the US intends to resolve. The issue becomes even more complicated when one takes into account Myanmar’s official position on the matter. Naypyidaw asserts that human trafficking networks are to blame, not government persecution, and that many of the illegal migrants in question are actually from Bangladesh. Government representatives have accused some of them of pretending to be Rohingyas so as to receive preferential aid from the UN High Commissioner for Refugees that they wouldn’t be able to procure with their actual Bengali identity. While critics might hark that Myanmar is lying about Bangladesh’s connection to the migrant boat crisis, the latter’s Prime Minister Sheikh Hasina decreed that those leaving the country illegally would be punished because they’re “tainting the image of the country in the international arena and putting their life into danger”, on top of being “mentally sick” in their pursuit for money abroad. No matter how one feels about Hasina’s comments, the fact that she addressed the topic in such a way confirms that the Bengali government acknowledges that their citizens are involved in this crisis and that it’s not completely about Rohingyas. Her statement lends credence to Myanmar’s claims that many of the migrants may actually be Bengali and inconveniently dismantles the Western media myth that anti-Rohingya persecution is to blame for the boat crisis. Pingback: Rohingyaland – A South Asian “Kosovo”? | Living in SouthEast Asia. RANGOON — Thirty-seven migrants were deported from western Burma to Bangladesh on Friday, as nearly 600 others remain in shelters near the border, according to officials. The migrants were among 208 aboard a boat found by the Burma Navy in the Bay of Bengal in late May. Burmese authorities determined that 200 had originated in Bangladesh, and transported them to Taung Pyo Let Wai village in Arakan State’s Maungdaw Township to be scrutinized and deported. Another boat, crammed with more than 733 people, was found on May 29 off the coast of Irrawaddy Division. The boat was held offshore for several days before being towed to Maungdaw, where passengers were transferred to border holding facilities and scrutinized to determine their origins. Local immigration officials told The Irrawaddy that 546 were found to be Bangladeshi and will be deported “soonest.” The remaining 187 passengers, including 43 children and 62 women, were found to be from Burma. An immigration officer in the Arakan State capital Sittwe confirmed the deportations and said that Bangladesh has also scrutinized the migrants to determined that those who have been deported are Bangladeshi citizens. “They [the government of Bagladesh] told us that they will bring their citizens back as soon as possible,” he said. Migrants from Bangladesh and refugees from Burma’s Arakan State have been boarding boats in droves to seek work or refuge in neighboring countries, many ending up in the hands of human traffickers. Those who fled from Burma are predominantly Rohingya Muslims, a mostly stateless minority that largely lives in apartheid-like conditions since deadly inter-communal violence erupted in the coastal state in 2012. Where are the Rohingya? I didn’t hear Rohingya name in Myanmar. I know They are really Bangali Muslims. Rohingya Muslim’s Land is Bangladesh because co-called Rohingya Muslims are Bengali ethnic. His website uses the truth to destroy the official propaganda narrative. Rohingyas are a Bengali Muslim population who have no place in Buddhist Burma. The clash is racial (Caucasoid-Australoid hybrid South Asian “desi” population vs the Mongoloid-Australoid hybrid South East Asian population as this place falls on the borderlands between the Indian subcontinent and South East Asia ), linguistic and religious (Sunni Islam vs Theravada Buddhism). This racial clash between the Caucasoid-Australoid hybrid Indian subcontinental “desi” population vs the Mongoloid-Australoid hybrid South East Asian population is common in the wider region throughout the seven North Eastern states of India (most of whom want independence from the Indian government in New Delhi) as well as the the Chittagong hill tracts region of Bangladesh (who want independence from the Bangladeshi government in Dhaka). Islamic Bangladesh has been carrying out a genocide of Buddhists and even Christians from the Chittagong Hill tract region for a long time, why does no one talks about that? This is just to confirm the statements of Malla , ” Islamic Bangladesh has been carrying out a genocide of Buddhists and even Christians from the Chittigong Hill tract region for a long time ” . Spent six months in Bangladesh ,in 1986 , and visited that area . The Salafist’s in the military high command , seemed to have ” ethnic cleaning” as an ongoing policy . I wrote different NGO’s but no one except myself seemed bothered by it . America’s human rights whining and humanitarian wars are based on “Israeli yardstick” – otherwise, United States is one of world’s top human rights abusers – just ask 23 million Blacks or 9 million Muslim Americans. Rohingya Muslims are people of Arakan state which the British colonialists gifted to Burmese Buddhist fascists. The Zionist regime has been selling arms and training Buddhist military personnel for decade who have been committing genocide of Muslim minority for decades. Myanmar’s de facto leader Aung San Suu Kyi is a CIA-Mossad asset. India has refused to accept Muslim refugees from Rohingya as Modi the “Butcher of Gujarat” doesn’t want more his “Holy Cow” meat eaters in India. Bangladesh is an Indian colony since 1971 – thus Dhaka takes instructions from New Delhi. Tony Cartalucci’s November 21 article, entitled, “Myanmar’s New Dictator: Aung San Suu Kyi,” is worth reading. quite obviously pushed by corporate interests, backed by US diplomacy lobbying deals with the myanmar military elite – holding still 75% of the power and Aung San Suu Kyi’s people the other 25% – playing morris with public opinion, NGO, UN and local governments. Jav : Thank you for your reference to the Guardian article . There are certainly other factors than religion at play there . Larger corporate bodies generally meet their needs better than the common people . 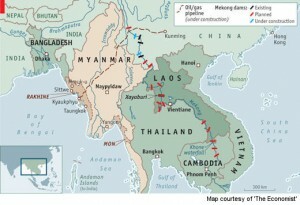 However , in Burma those corporate interests would be military or Chinese . US interests would be the oil and gas off shore of Rakine State . They via Kuwait , fund the ongoing Wahhabi ” Rohingya Freedom Fighters” or “moderate rebels” . Using Bangladeshi jihadist , “boots on the ground” , they would like to create a new Muslim State out of a part of Rakine , and therefore make a claim on the off shore oil and gas . Then they would have a base from which to # 1 interrupt Iran and Qatar’s oil and gas exports to China # 2 Stop China from using Burma as a transit port , boxing them into the South China Sea . In order to facilitate the jihadists , Saudi Arabia has just opened over 550 Wahhabi schools in Bangladesh .